The Children's Room: Holiday Time in the Children's Room! Holiday Time in the Children's Room! Well, it's that time of year again, and our Holiday Book display is filled with books to help you celebrate Christmas, Hanukkah, and Kwanzaa---come and borrow some today! 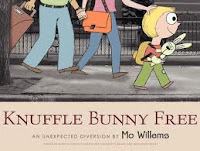 Mo W illems continues to be a very popular author, whether it's the latest Knuffle Bunny book (Knuffle Bunny Free) or the latest in the Elephant and Piggy series (Happy Pig Day!). His stand-alone title, City Dog, Country Frog, is a well-loved title, too. Other books we've really enjoyed at this level---Interrupting Chicken by David Ezra Stein, The Gingerbread Man Loose in the School by Laura Murray, The Bear Who Shared by Catherine Rayner, 999 Tadpoles by Ken Kimura, and Press Here by Herve Tullet. The Innerstar University books from American Girl are "choose your own adventure" stories for 7-9 yr. olds. Any Babymouse book is sure to be a hit, but there's a Babymouse Christmas story out just in time for the holidays! For the graphic-novel lover, Missile Mouse is a new series that has been flying off the shelf, and the Cupcake Diaries series capitalizes on the current cupcake craze in a way that our 3rd and 4th grade girls can't resist! 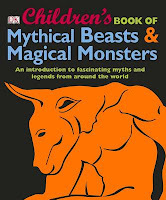 Some chapter books for older readers: Liesl & Po, by Lauren Oliver is a classic tale, with orphans, a wicked stepmother, ghosts, and magic. The Storm Runners series by Roland Smith is non-stop action--in fact, the last scene of book 1 is such a cliff-hanger, you'd better go ahead and buy book 2 while you're at it! 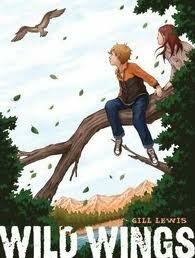 Wild Wings by Gill Lewis, is a wonderful adventure that spans the co ntinents. 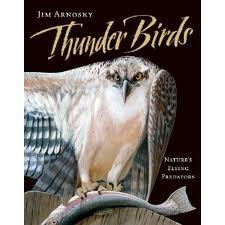 Thunderbirds: Nature's Flying Predators by Jim Arnosky. 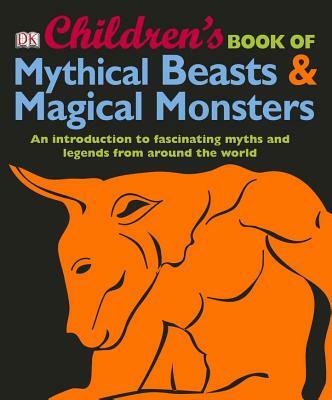 The illustrations are breathtaking....enough said! 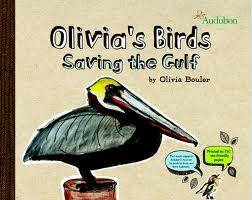 Olivia's Birds: Saving the Gulf by Olivia Bouler is an inspiring true story that anyone will enjoy reading. Of course, this is just a sampling of the wonderful books that pass through our new book shelves each year, but I hope it gives you somewhere to start in your search for the perfect gift-book! 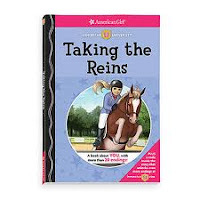 Of course, this is just a choosing of the amazing guides that complete through our new publication racks each season.